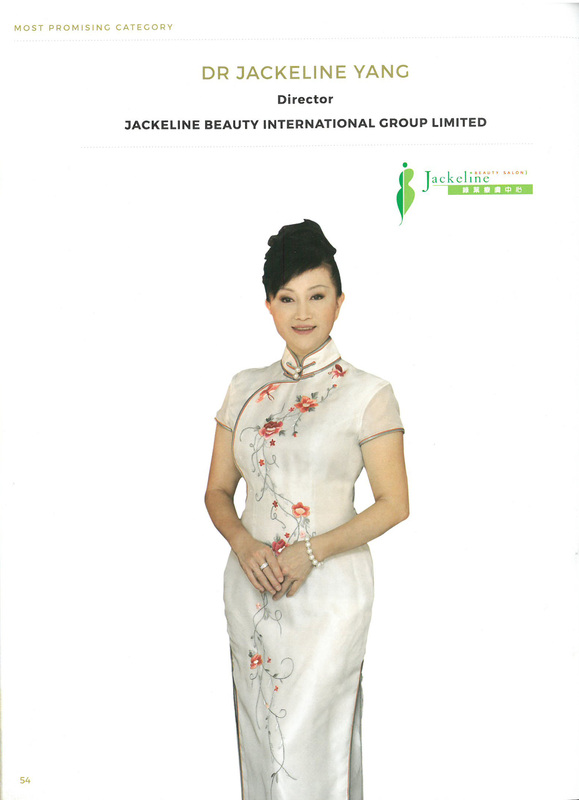 Ling, also well known as Jackeline Yang. wellness as well as the skin, making the skin shine from within. strong willing that she should help them solve the acne problems. become an expert in acne treatment. problems and regain confidence and wellness. clients, which can enhance and improve their body and wellbeing. the brand stands out among the fierce and competitive industry. TVB to share her experiences on acne treatment and skincare. learn from experiences when she faced obstacles during her work. is a new page to the acne healing field. newspaper for promotion to keep the brand’s regular exposure. to help nourish their skin whilst strengthening their wellness. contributed to Dr Yang’s success. consecutive years and many more. Dr Yang is also keen on public services and community activities. Society, Kowloon, President of Presidents’ Club, Hong Kong St.
her to fulfill her passion.